Augmented Reality (AR) is expanding our notion of perception by supplementing real world sensory data with computer generated information, visuals, sound, and more. Below I’ve highlighted experimental projects that are pushing the boundaries of augmented reality and art. Want to decorate your world with AR animations? 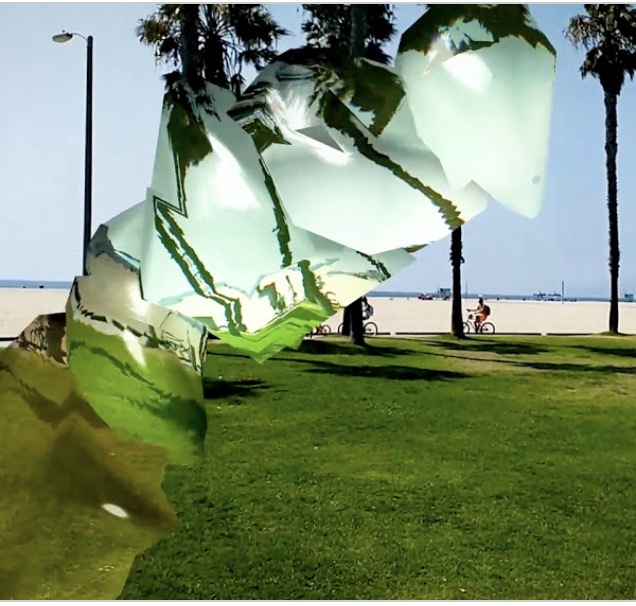 NormanAR is an open-source mobile app that displays animations in augmented reality. 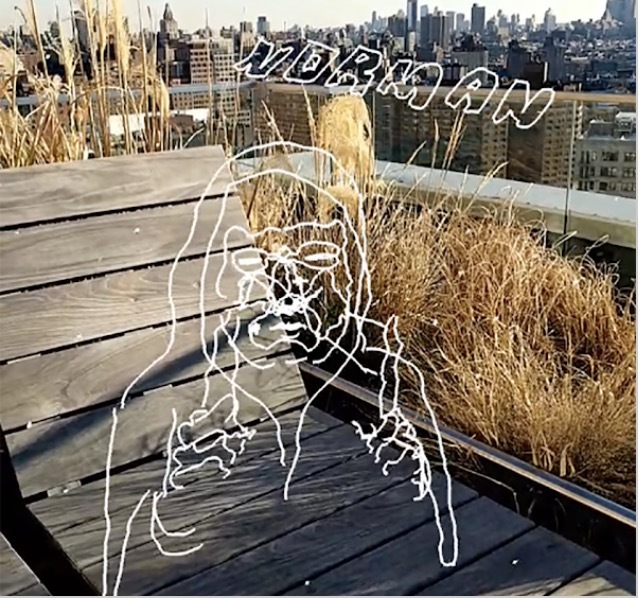 Created as a complement to NormanVR, a tool that allows artists to animate frame-by-frame in 3D space, normanAR takes these animations and adds them to the real world. NormanAR uses ARCore and openFrameworks. 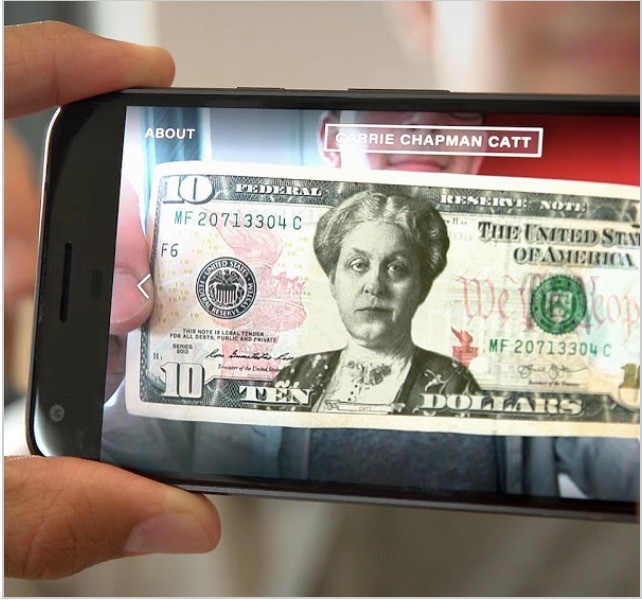 Paper Cubes is an experiment in DIY AR. With just some paper, scissors, glue, and a phone; anyone can explore how to make the physical world augment the digital one. You can use the paper cubes to control a crowd of stick figures - make them jump, turn, stop, you can even make them smarter with the AI paper cube. Built using using Unity and Vuforia. Transform any surface into AR using Raspberry Pi, a laser projector, and Android Things. Rather than insisting that every object in our home and office be 'smart', projections show ambient information and relevant UI within everyday objects. Point it at a clock to show your appointments, or point to speaker to display the currently playing song. Built using an off-the-shelf lamp, Raspberry Pi 3, a laser projector and Android Things. Draw in 3d space using ARCore. It was initially made as a quick experiment of how to combine ARCore with openFrameworks but was expanded with native implementation in Java. Glass Sculptor is an experiment that lets you fill your world with floating glass sculptures by touching your screen as you look around. The sculptures refract the real world behind them in beautiful and impossible ways. Built by Active Theory using three.js in a native Android app using V8 and OpenGL. 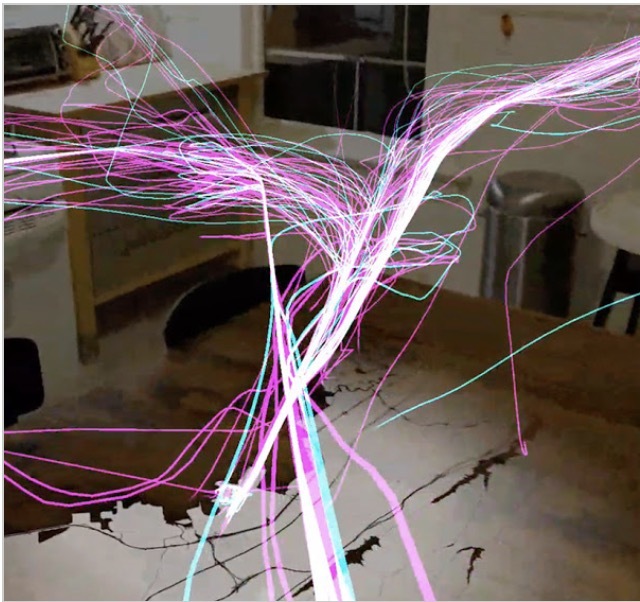 This is a visualization of flight data that floats around you, transforming your room into a flight path visualization. Built by William Lindmeier using Unity and ARCore. Golan Levin created some of the earliest digital art, combining computer vision and installation artwork. He’s continued his practice as Project Manager for Terrapattern, a visual search tool for satellite imagery. As the Director of the STUDIO for Creative Inquiry at CMU, he also organizes events like WEIRD REALITY, which focuses on VR and AR practices. 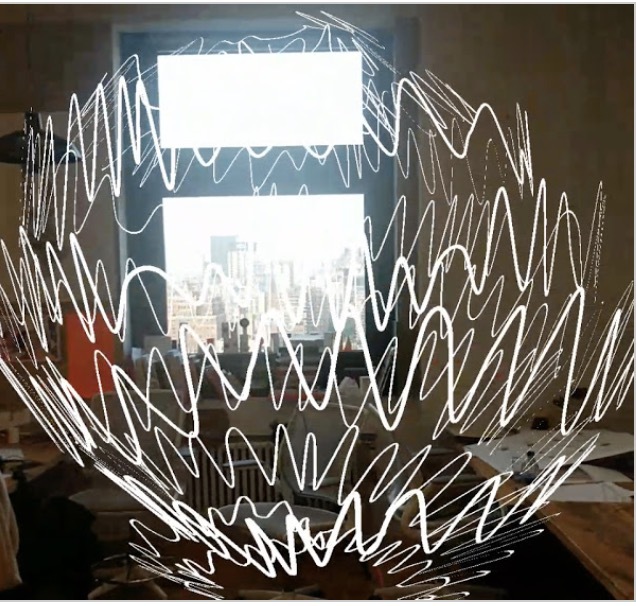 The first cross-platform collaborative AR app – for doodling. Lets you make simple drawings in augmented reality, then share your creation with a short video. AR Wormhole is based on a little thought experiment: what if you could step through a wormhole into the past? It uses a 360 camera, which livestreams video into an app, with a 10-second delayed feed. Using the app, you can step 10 seconds into the past and look around to experience that moment again. Built with Unity and an ORAH live 360 camera.